For a small village Vilcabamba has an abundance of hotels, hostels, B&B, rooms for rent, you name it. The city of Loja, a small city by world standards, is not left behind either and offers many options for all budgets. In Vilcabamba, the most impressive hotels that can be found are in our view El Descanso del Toro with its impressive architecture and its pools and luscious gardens and Madre Tierra. There are several nice clean and more affordable solutions that we will be reviewing in the near future. Hosteria Izhcayluma is situated on a hill approximately 2 kilometres outside of Vilcabamba (heading south), and enjoys spectacular vistas of the village and surrounding countryside. Guests are housed in beautiful bungalows, set well spaced within the grounds and decorated in a minimalist style. Balconies and hammocks overlooking the stunning landscape are a very welcome feature of the rooms and aid an already tranquil atmosphere. Relaxation is also possible while lounging by the pool, walking along the pretty, flowered pathways, playing pool or table tennis or simply enjoying a cold beer in the bar. For those wanting a more challenging intellectual activity, the giant-sized chess set is ideal. The hotel also has a restaurant that is open from 08:00 - 20:00 every day except Monday (when it is closed during the middle of the day). The restaurant serves a delicious mix of both Ecuadorian and Bavarian specialties. Breakfast is included and, very unusually, can be taken at any time during the day, other than a brief spell mid-morning. In the bar area there is a large TV: movies can be borrowed at the front desk. There are different parts of the hotel, including cabins, dorm rooms and regular rooms. Prices vary according to the level of comfort and privacy you want. In addition to the sizzling Mexican and international fare offered up at the restaurant, Jardin Escondido has 13 pleasantly appointed rooms, singles, doubles and family rooms, with private baths. The hotel, as the name would suggest, features a beautiful hidden garden with an inviting pool for taking a dip or lounging about. The owners are friendly and accommodating, a nice match for the warm atmosphere and peaceful grounds. Although I have never stayed here I have visited while a friend was staying. The room was well presented, clean and well maintained with a bathroom. The facility is well presented and an excellent location to the Vilcabamba Village. The pool looked very inviting! Le Rendez-Vous was set up by a French couple who fell in love with and chose to settle in Vilcabamba after traveling extensively throughout South America. The grounds feature eight adobe cabins with private bathrooms. Each has a pretty terrace where you can kick back and relax in your hammock, while enjoying views of the manicured garden below. Before you settle in and swing away, grab a book from the library, which has books in English, French, German and Spanish. Breakfast and taxes are included in the room price. For a bit more dough, you can rent bikes and explore the spectacular surroundings, set up a Spanish class or two, or rent a movie and vegetate in your room. Although I have never stayed here, I have visited while a friend was staying. The room was excellently presented, clean and well maintained with a bathroom, wardrobe, and desk. There was plenty of space around the bed. The facility is beautifully presented and an excellent location to the Vilcabamba village. They also have an environmental attitude. For example, they provide large containers of drinking water to their guests so that they don't have to buy small plastic bottles, which is definitely a good idea. Breakfast is included in the price of the room and I was told that it is excellent with fresh bread that they bake themselves daily on the premises. A very short walking distance from town you will find Las Margaritas. I have known a number of people who have stayed here and they always speak very highly of Las Margaritas. They offer single and double bedrooms and private bathrooms. There is a guest lounge. Breakfast is included in the price. The hostel is set in a private cottage styled fenced garden. .... Arriving about 1.5 hours later in Vilcabamba, we checked out the 3 hotels and settled on Hotel Margarita, a clean, bright hotel with an egg breakfast and cable TV, a block off the main square, for $20 a night. This is a hotel, spa, restaurant and conference centre. I have visited this faculty briefly and found it to be very beautiful. Friends have used the spa facilities and said they were excellent. They had a hot deep earth organic clay bath. I have dined at the restaurant too. There was a group of 8 of us for dinner all meals were served at the same time except one, which for a reason I don't know didn't get served until all of us were finished. Yet his meal was the same dish as another at our table. The setting for the restaurant is beautiful. The meal was basic. It tasted good. We were served local non-alcoholic beverage and breads. Would I eat there again? Yes. The Ramses Hotel is more in line with western hotels. 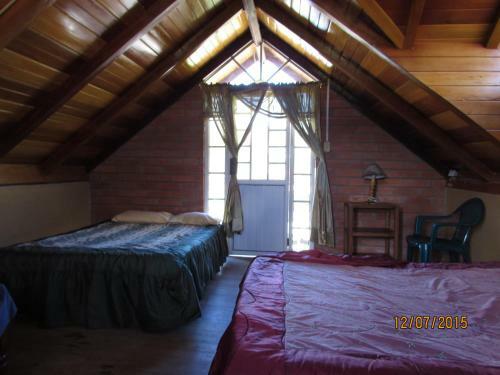 It is well presented and located within an easy walk to the centre of Vilcabamba. The hotel incorporates Diego's Cafe Canela. I have visited this facility briefly and found it to be very well presented. An acquaintance of mine has inspected the rooms and advised me that they were very good and included a fridge. The reception for this hotel can be a little hard to spot when you first arrive; head down the driveway and you will find the reception. Rumi Wilco is only a 10-minute walk from the center of Vilcabamba, but you feel like you are miles away. An Argentinean couple, Alicia and Orlando Falco, created this nature reserve in an effort to reverse the environmental degradation caused by slash-and-burn agriculture. The reserve encompasses a beautiful mountainside with plenty of trails for day hiking. There is also an eco-lodge on the reserve with well-kept rustic adobe cabins with kitchens. A third of what you pay goes toward various management programs on the reserve, such as protection and reintroduction of native species, nature trails and scientific research. You are also welcome to volunteer on the reserve for a discounted stay. Orlando, a bilingual naturalist with decades of experience in Ecuador, can take you on a guided excursion. Homemade organic granola, marmalade and coffee grown in their own tree-shaded orchard are also for sale. Client Comment(s): I stayed here probably 6 times in the 3 years I lived in Ecuador. I loved the quiet and the simple yet beautiful cabins. Perfect for a budget traveller/English teacher/naturalist/bird watcher or anyone just wanting to get away and enjoy Vilcabamba at a place that is trying to give back to the community there. I have visited this facility briefly while a friend was staying there. The hotel is nestled among nice grounds and the staff was very helpful. The hotel also has a restaurant with national and foreign dishes. See our Eating Out section for more details on the restaurant. I have not personally stayed here, but I do visit regularly to do yoga. I must say that this accommodation is one of my favourites. It has a beautiful rustic charm yet all the modern facilities. The woodwork is oiled as opposed to varnished so it is more natural. 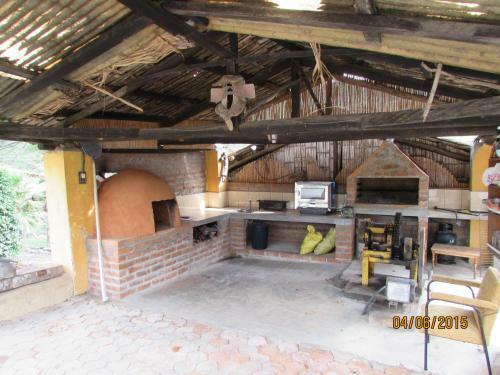 You will find a homely atmosphere in a private rustic house in downtown Vilcabamba. Montesuenos is run by Brian O'Leary and his wife Meredith. Brian is an acclaimed speaker and author on the environment and a new age activist. Meredith is a visionary artist who creates wonderful, mystical masterpieces. Montesuenos has been created using Meredith's artistic talents and eye for detail. I find the best way to describe the property is that it is an artist’s masterpiece in its own right. My husband stayed here on his first visits to Vilcabamba and describes waking up at Montesuenos as waking up on top of the world to a new dawn every day – a magical place to stay. We have attended conferences conducted by Brian at Montesuenos. The property lends itself to being an ideal venue. During lunch you can sit and relax in many of the garden nooks that frame the house. The Big Yellow House, owned by Jenice and Bruce, is neither a hostel nor a hotel. We provide rental units for folks interested in that arrangement. It can provide cost savings to those who are staying for extended stays and a private place that is “yours” during your stay in Vilcabamba. The property is located 4 and ½ blocks from the town plaza. It’s a short walk to anything you might need. It’s a $1 taxi ride if you would rather ride than walk. There are two 3 bedroom apartments on the second floor. They are nice Ecuadorian style, meaning there’s tile everywhere! There’s also nice color on the walls. Owned by Americans, we have added on-demand hot water shower and included all the basics to just move in. The apartments are furnished with beds, couches, stove, fridge, dishes, and linens. There is a wash machine on the property and clotheslines on the roof. Views from the apartments are of the beautiful mountains surrounding Vilcabamba. Staying for a month or longer? A cell phone’s included to get you started connecting with new friends. Located separately in the back, the property also has 2 rooms with a shared bath, all newly renovated. New furniture, paint, cabinets and roof! All linens are included. Jenice also writes a blog about their experiences and life here in Vilcabamba. Molino Tropical is situated in Vilcabamba, 37 km from Loja and 27 km from Valladolid. The hotel has a year-round outdoor pool and barbecue, and guests can enjoy a meal at the restaurant or a drink at the bar. Free private parking is available on site. The rooms are fitted with a TV. Views of the mountains, pool or garden are featured in certain rooms. The rooms come with a private bathroom equipped with a bath or shower. Molino Tropical features free WiFi throughout the property. There is a shared kitchen at the property.